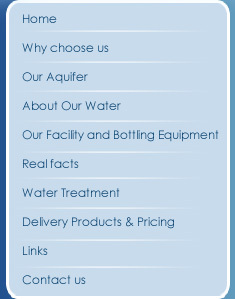 Real Water was built over a period of two years, and is state-of-the-art in bottling technology. 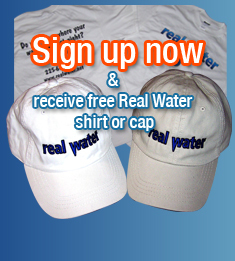 Real Water consists of 35,000 sq. ft. of bottling facility and 5000 sq. ft. of offices and employee lounge areas on five acres of rolling hay fields. 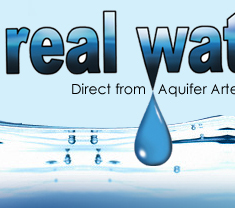 All of Real Waters bottling and storage areas are climate controlled to 75 degrees or cooler. Our five gallon bottling line is capable of producing 6000 five-gallon bottles a day, and our one-gallon bottling line (to be opened in 2008) can produce 15,000 one-gallon bottles a day. All of our equipment is set up so we can bottle only the amount we are going to deliver within 24 hrs; thus, water is kept in Aquifer until we are ready to bring it to you! 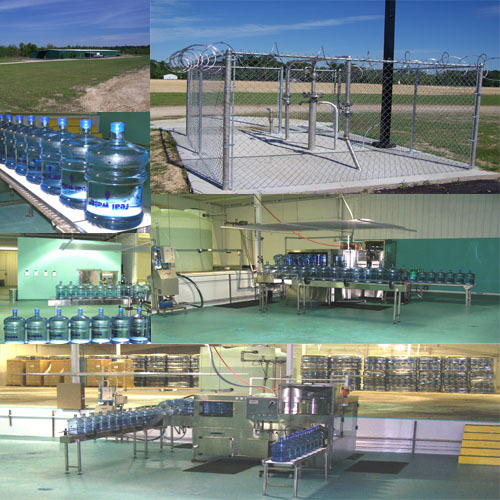 Our artesian well is located 60' from our bottling line and is piped in to bottling area via all stainless steel piping. We are currently in construction for our Solar Distilled Water Plant which we hope will be ready in early 2008. We are located in Walker, Louisiana, about 13 miles from Baton Rouge.